Simply stunning Personalized Oval Locket makes every day a special occasion. 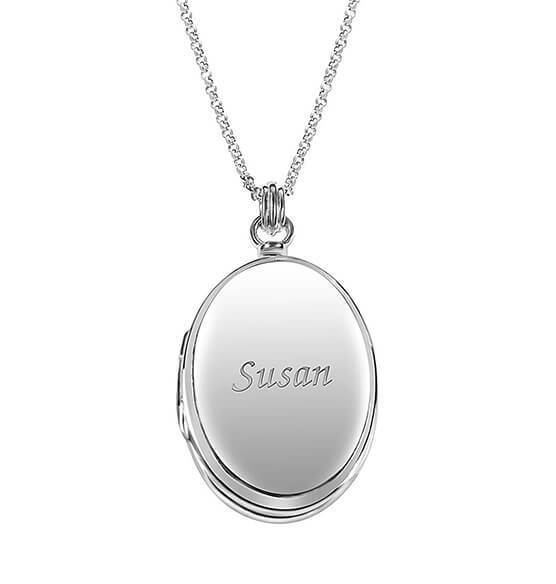 Open this elegant oval locket to place loved ones' photos. Pictures are safeguarded with a protective covering when placed inside. Locket can be made truly yours with personalization. Specify name. Makes a beautiful gift! Can I get this with a Cross on the front, name on the back, fingerprint on left inside, and picture on the right? BEST ANSWER: Thank you for your question. Unfortunately we are only able to print the name. We hope this information will be of help to you.